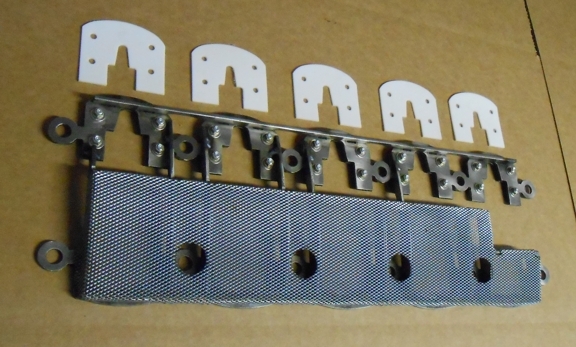 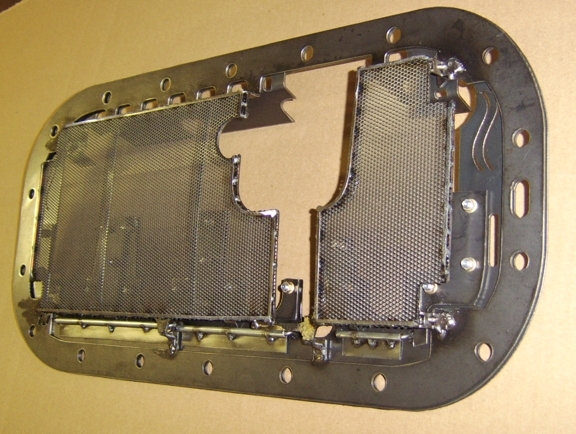 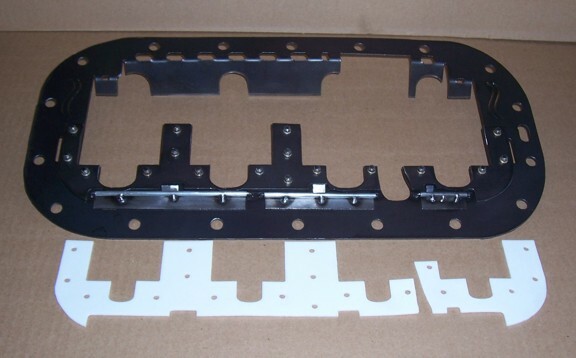 We can provide plastic templates for initial fitting and adjustment. 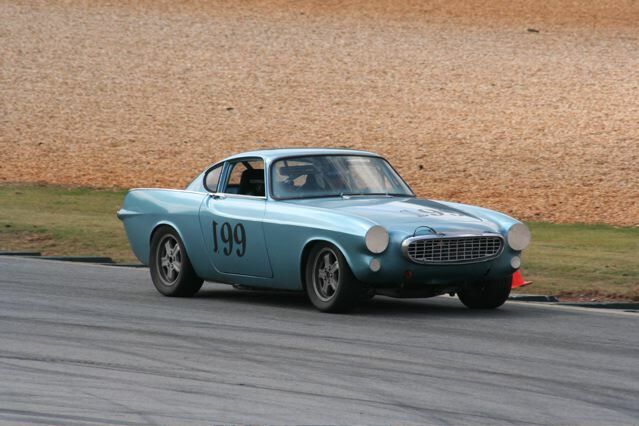 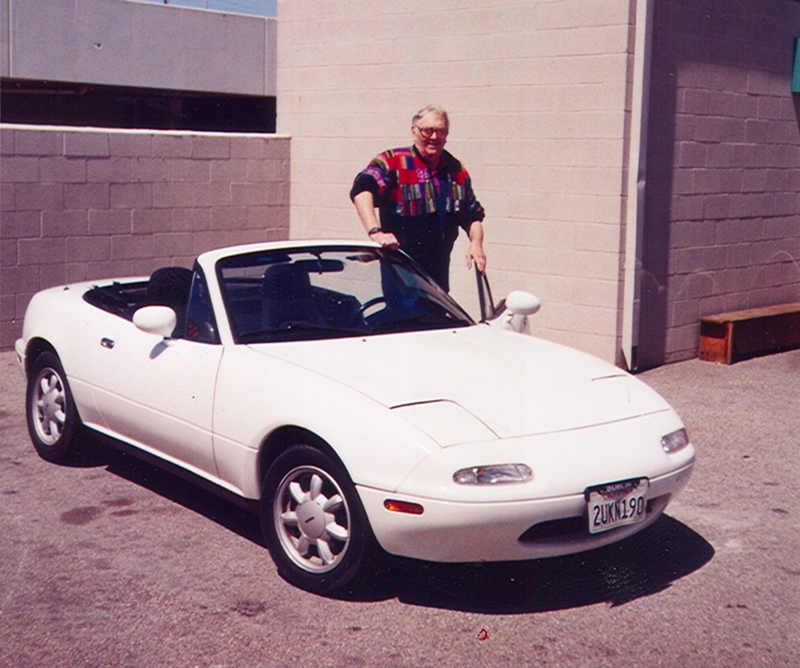 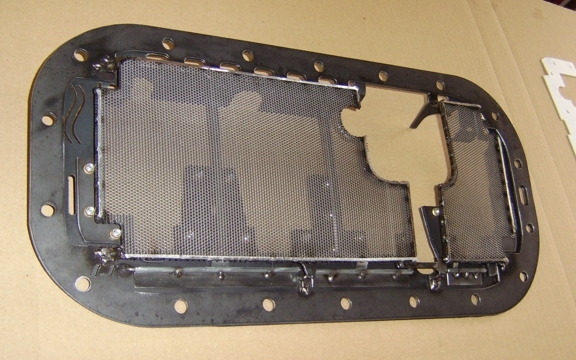 Plastic templates cost $100 and are a separate charge from the scraper pattern chosen. 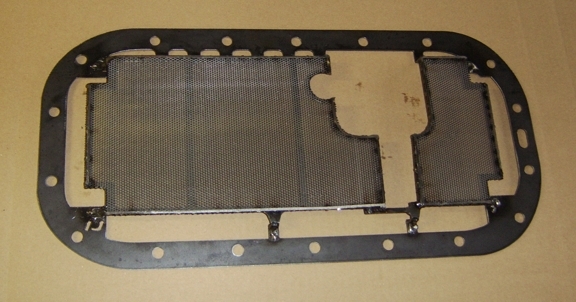 This is a typical Teflon® scraper for the Red engine group. 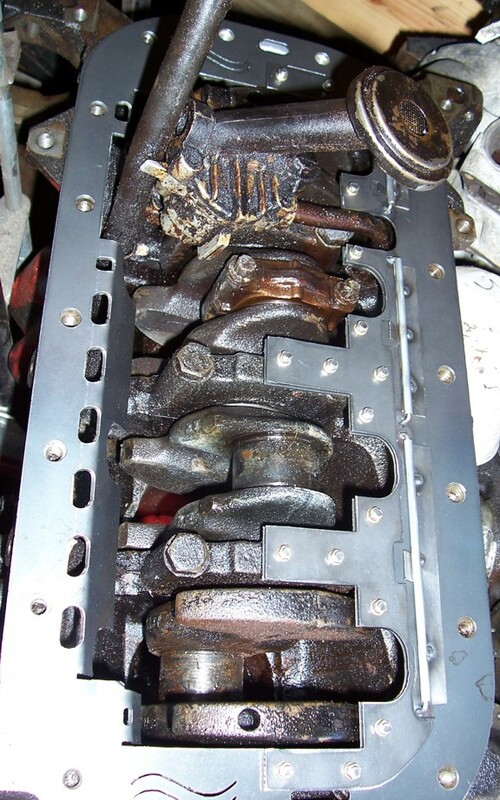 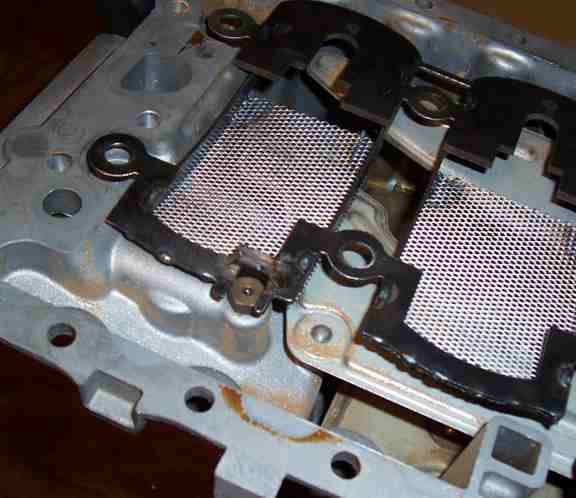 This is a dual scraper which works on both the up- and down-stroke of the engine. 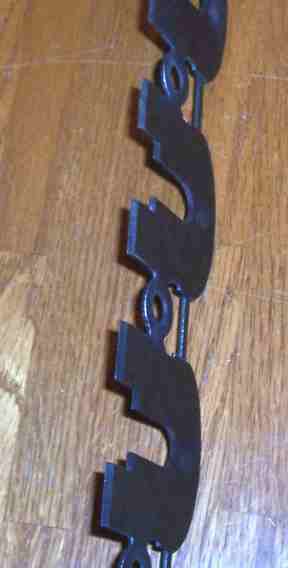 The Teflon® upstroke blade can be run at zero clearance safely for enhanced efficiency. 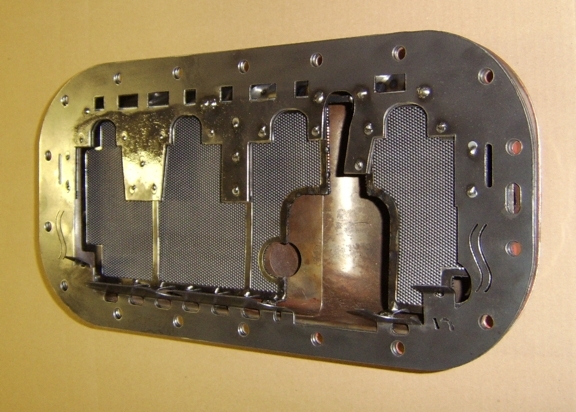 The blade is left separate from the assembly so that the frame can be initially checked for gross clearances. 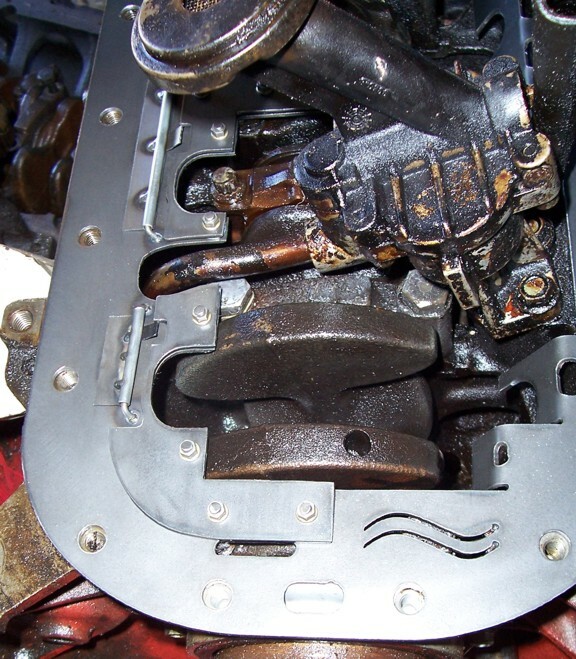 There are triple trap doors that help stop oil from traveling up the side of the block during hard turns or abrupt maneuvers. 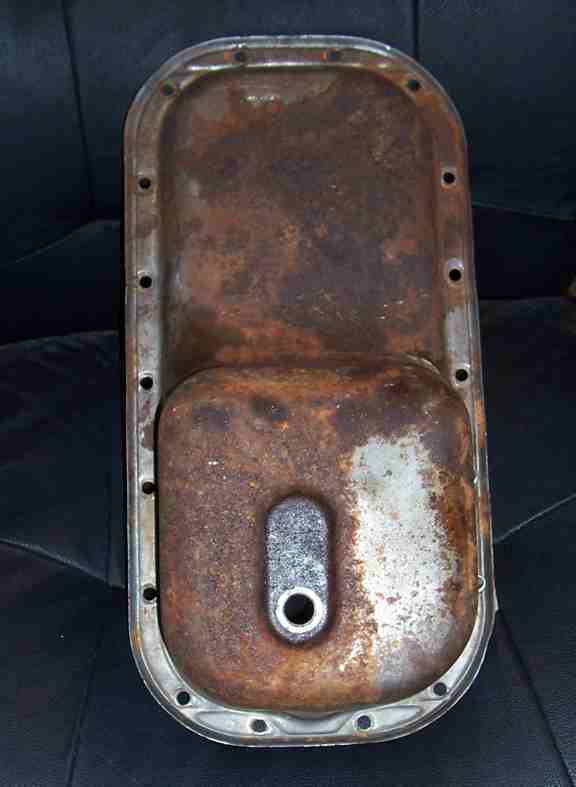 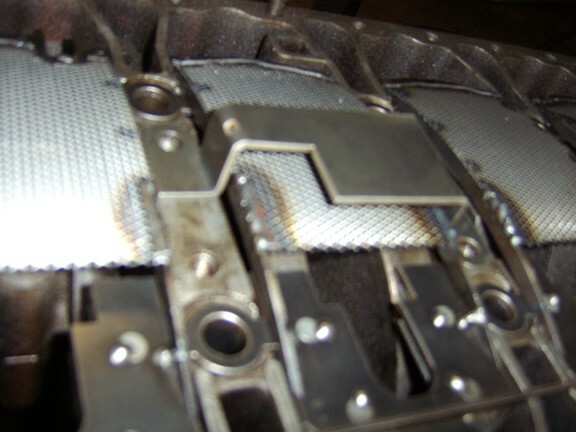 Normally these doors are open and allow draining oil to easily reach the sump by passing through the scraper via holes. 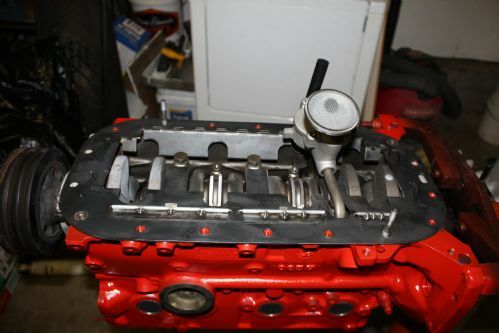 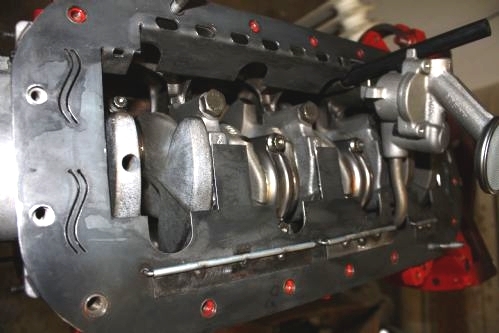 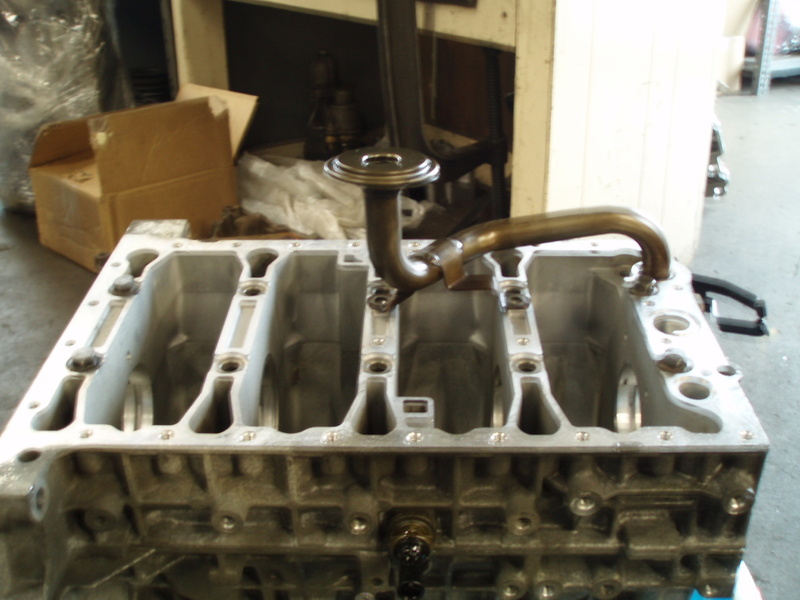 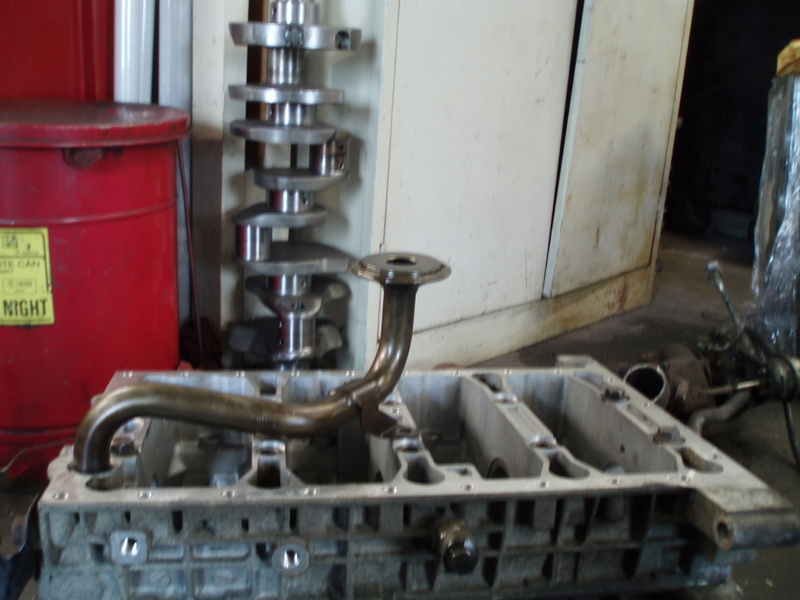 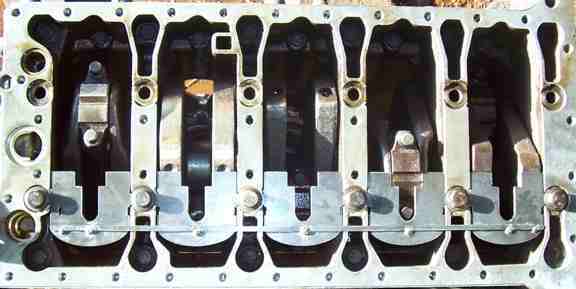 Modular Volvo engines or White engine group, I6, I5, I4 $89.95 Please specify engine and stroke. 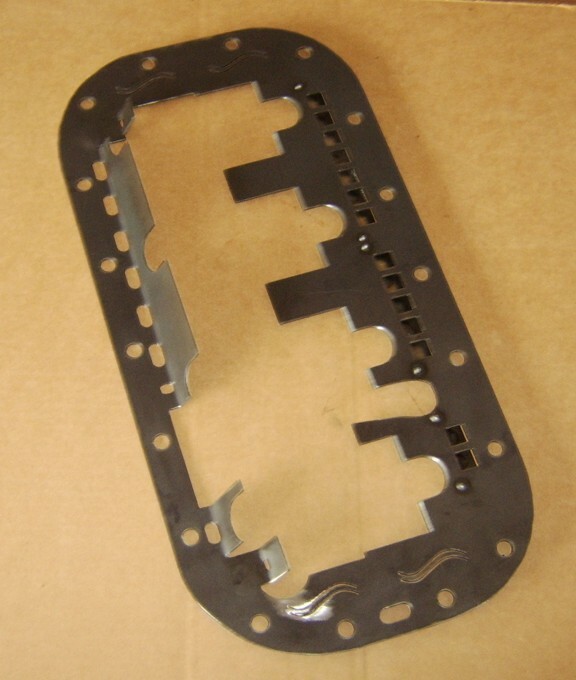 Teflon® blades available. 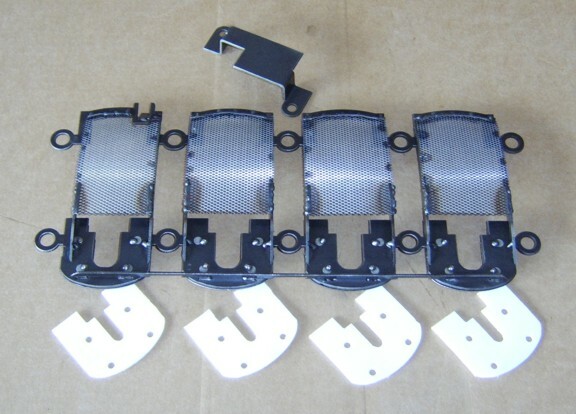 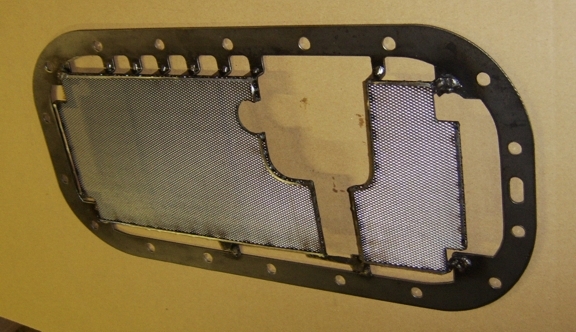 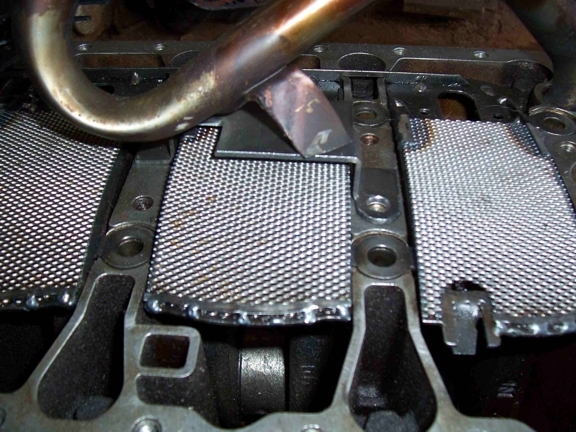 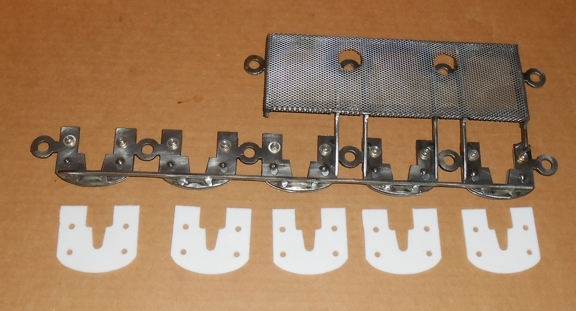 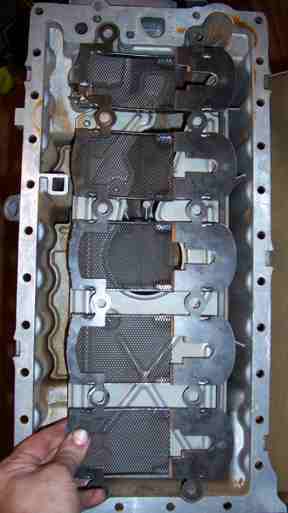 Windage tray also available for modular engines; it has an incorporated scraper. 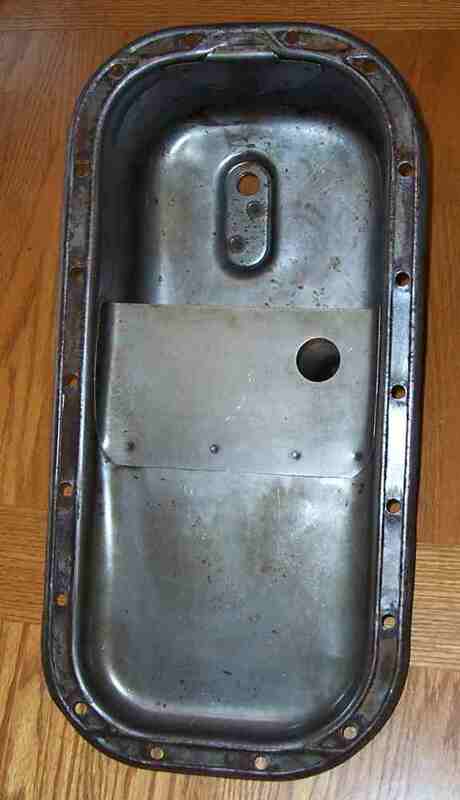 $249.95. 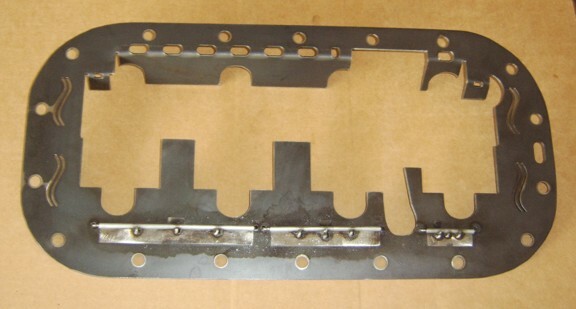 Teflon® blades available. 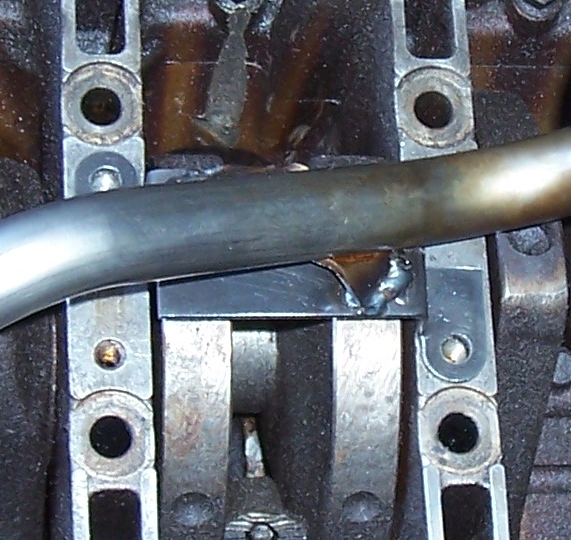 There is a deflector for the oil pressure relief valve so that that oil is shunted sideways rather than into the path of the rotating assembly. 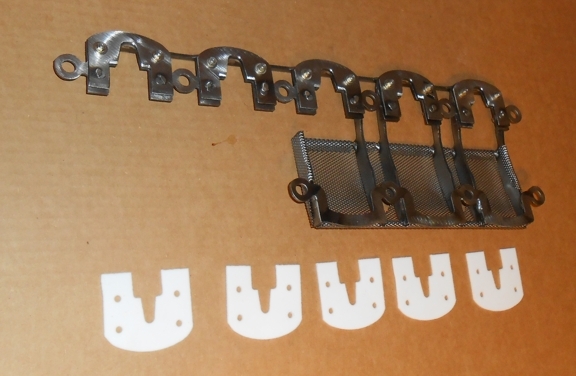 The new pickup tube bracket allows the windage tray to be straddled and remain complete.